We are genuinely committed to giving our clients the opportunity to make the best possible choices at the most advantageous time. In our advisory role, we go beyond the normal role of agent and take our job as advisor very seriously. Our clients stay ahead of the changes, are more prepared to seize opportunities as they emerge, and are able to avoid unnecessary challenges that can typically be avoided. Serving the best interest of our clients is not just the source of our long-standing success – It is what gives us joy that keeps us striving to provide the best possible advisory services, in addition to our well-established transactional expertise. Click here to view our team resume. Donald “Ridge” MacLaren specializes in the sale of market rate multifamily investment properties throughout the greater Philadelphia tri-state region, with more than 38 years of experience in the industry. Based in Marcus & Millichap’s Philadelphia office, Ridge is a licensed real estate broker in Pennsylvania, New Jersey, and Delaware. Since joining Marcus & Millichap in April 2000, Ridge has exclusively listed and sold 16,973 multifamily units, valued at more than $1.22 billion. Ridge was promoted to Senior Vice President Investments in 2012. During the course of his real estate career, Ridge has earned numerous performance awards, including Top Producer for the entire Philadelphia office (2007), the Gold Sales Recognition Award (2009), and the CoStar Power Broker Award (2010). In 2017, Ridge was among the top 5 highest producing agents in the Philadelphia office. Ridge graduated from the United States Military Academy at West Point in 1971, and served his country as a First Lieutenant with tours in the United States and Germany. Upon completion of his military service five years later, Ridge returned to Philadelphia and joined the firm of Walter M. Wood Jr. Real Estate, Inc. During his eight years with Wood, he sold both residential and investment properties and headed the firm’s Management Division. In 1984, Ridge formed his own brokerage and management company – MacLaren Management Company – Which represented institutions, insurance companies, pension funds, REITs and individual investors. Ridge’s past professional accomplishments also include accreditation as a Certified Property Manager (CPM), and as a Certified Commercial Investment Member (CCIM). Ridge is a past President of the Apartment Association of Greater Philadelphia, and Regional Vice President of the National Apartment Association. Ridge is actively involved in the local and national chapters of the Institute of Real Estate Management, the National Multi-Housing Council, and the West Philadelphia Chamber of Commerce. Outside of work, Ridge enjoys playing golf, traveling, and spending time with his six grandchildren. Clarke Talone specializes in the sale of market rate multifamily investment properties throughout the greater Philadelphia tri-state region. Based in Marcus & Millichap’s Philadelphia office, Clarke is a licensed real estate salesperson in Pennsylvania, New Jersey, and Delaware. Since joining Marcus & Millichap in June 2006, Clarke has exclusively listed and sold 11,944 multifamily units, valued at more than $916 million. Clarke was promoted to First Vice President Investments in 2016. During the course of his real estate career, Clarke has earned numerous performance awards, including the Gold Sales Recognition Award (2017), the Rising Star Award (2017), and the CoStar Power Broker Award in both 2009 and 2010. 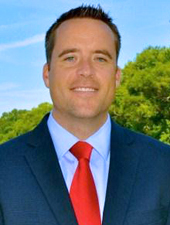 In 2017, Clarke was among the top 5 highest producing agents in the Philadelphia office. Recently, Clarke was selected to serve as an expert witness for a land condemnation case in the greater Philadelphia area. Clarke graduated with a B.S. in Business Administration from the University of Richmond in 1997. Prior to Joining Marcus & Millichap, Clarke worked as an Information Technology Consultant on long-term client engagements with MCI, Nextel, Sears, General Electric, Nike, and Symantec. Clarke is an active member of the Pennsylvania Apartment Association East. Outside of work, Clarke is active in the community. He is a committee member for the Radnor Run, which is an annual 5-mile race benefitting the American Lung Association. Clarke also coaches youth sports, including t-ball, softball, basketball, and wrestling. Andrew Townsend specializes in the sale of government-subsidized and market rate multifamily investment properties throughout the greater Philadelphia tri-state region. Based in Marcus & Millichap’s Philadelphia office, Andrew is a licensed real estate salesperson in Pennsylvania, New Jersey, Delaware, and Maryland. Since joining Marcus & Millichap in June 2005, Andrew has exclusively listed and sold 11,269 multifamily units, valued at more than $859 million. Andrew was promoted to First Vice President Investments in 2015. During the course of his real estate career, Andrew has earned numerous performance awards, including the National Achievement Award (2017), and the CoStar Power Broker Award in 2009, 2010, and 2013. In 2017, Andrew was the #1 highest producing agent in the Philadelphia office. Andrew graduated with a B.A. in History from Gettysburg College in 2004. Prior to joining Marcus & Millichap, Andrew worked in multifamily property management with University City Housing in Philadelphia. Andrew currently serves on the board of Hearts of Camden – A non-profit organization providing affordable housing in inner city Camden, NJ. Dan Bernard specializes in the sale of multifamily investment properties throughout the greater Philadelphia region, specifically Bucks, Chester, Delaware and Montgomery counties. 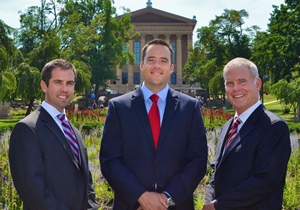 Based in Marcus & Millichap’s Philadelphia office, Dan is a licensed real estate salesperson in Pennsylvania. Dan graduated with a B.S. in Civil Engineering from Bucknell University in 2013. Following graduation, he worked at a project management company outside of Washington D.C. Dan joined Marcus & Millichap in August 2015, and was awarded the Pace Setter Award in 2016. The award is given to those who go above and beyond early on in their careers at the company. Dan also earned the 2016 Rookie of the Year Award for the entire Philadelphia office. He is currently a member of the Young Friends of Baker Industries – A non-profit program that strives to engage a younger generation of volunteers in support of providing real work for real wages to vulnerable adults. Dan is an avid golfer, having played for the men’s golf team while at Bucknell. He earned a spot to play in the 2016 U.S. Mid-Amateur Championship. Will Riter specializes in the sale of multifamily investment properties throughout the greater Philadelphia region, specifically Dauphin, Lancaster, York, and New Castle counties. Based in Marcus & Millichap’s Philadelphia office, Will is a licensed real estate salesperson in Pennsylvania. Will graduated from Gettysburg College in 2017, with a major in Organization and Management Studies and a minor in Business. He joined Marcus & Millichap shortly after graduation. While at Gettysburg, Will coordinated and ran several philanthropy events that benefitted the American Red Cross. Outside of work, Will enjoys water and snow skiing, and playing golf. Lee Luedtke specializes in the sale of multifamily investments throughout Southern and Central New Jersey. Lee’s core markets include Camden, Burlington, Gloucester, Mercer, Middlesex, Monmouth, and Ocean Counties. Based in Marcus & Millichap’s Philadelphia office, Lee is a licensed real estate salesperson in both New Jersey and Pennsylvania. He is a third-generation realtor who brokered investments in Long Beach Island, NJ, for four years prior to joining Marcus & Millichap. Lee has been licensed in New Jersey from the age of 18, and graduated from Quinnipiac University in 2017 with a B.S. in Marketing. Outside of work, Lee enjoys deep sea fishing, skiing, and golfing. As Marketing Coordinator, Kassia is responsible for the design, development and execution of an ongoing marketing campaign that supports the overall marketing and sales plan of the team. Prior to joining the team in July 2013, Kassia worked as Communications Coordinator for Belfair Plantation in Bluffton, South Carolina. • Kassia graduated from Penn State University in 2005 with dual Bachelor of Arts degrees in Journalism and Art. • Previously, Kassia worked as Publications Editor and Designer for the Applied Research Laboratory at Penn State.